This slim fit shirt is made from the finest cotton. It has a small modern rounded collar and a front button fastening. 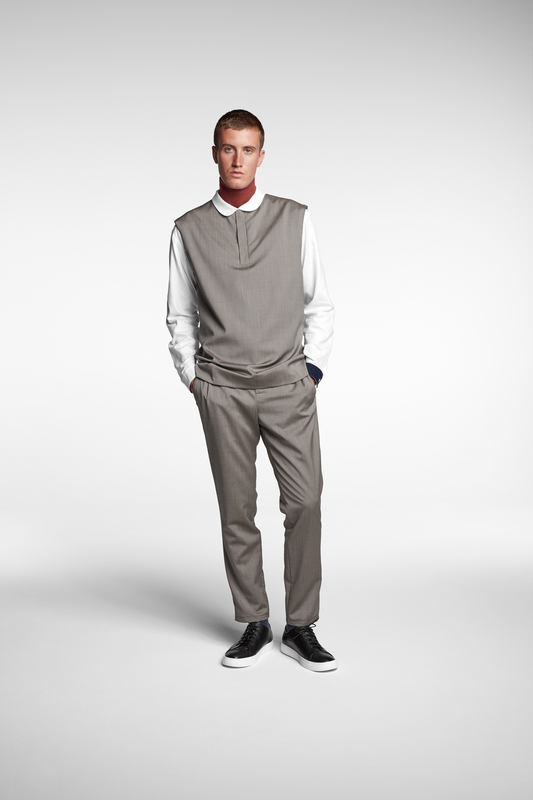 it is a relaxed fit with a hidden polo button fastening and a slim topstiched lapel. they have pockets at the back and sides, neat press folds and a classic zip fly fastening.